Dr. Heather Rojas graduated from the Loma Linda University School of Medicine, where she completed her residency program. She is specialized in Pathology and board certified in Cytopathology and Anatomic & Clinical Pathology. 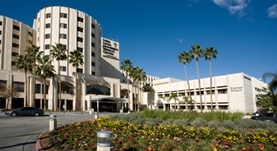 Dr. Rojas has been in practice for more than 11 years and is affiliated with the Loma Linda University Medical Center. During her career, she has also contributed to a publication of medical interest. Dr. Heather Rojas has contributed to 1 publications. The antioxidant effects of melatonin after intracerebral hemorrhage in rats. Rojas, H.,Lekic, T.,Chen, W.,Jadhav, V.,Titova, E.,Martin, R. D.,Tang, J.,Zhang, J.; Acta Neurochir. Suppl.. 2008 Dec 11.